For those of you who weren't scared off by that terrible pun, we've saved the best for last. This costume can be made in a single afternoon on the cheap, and the wow factor will be immense. First, visit this website and pick your favorite tetromino. In terms of difficulty, I'd recommend either going with the long I block, or an L block. Mark down its color, and head on to the hardware store. All you'll need are 4 shipping boxes (make sure they're big enough to fit around you! 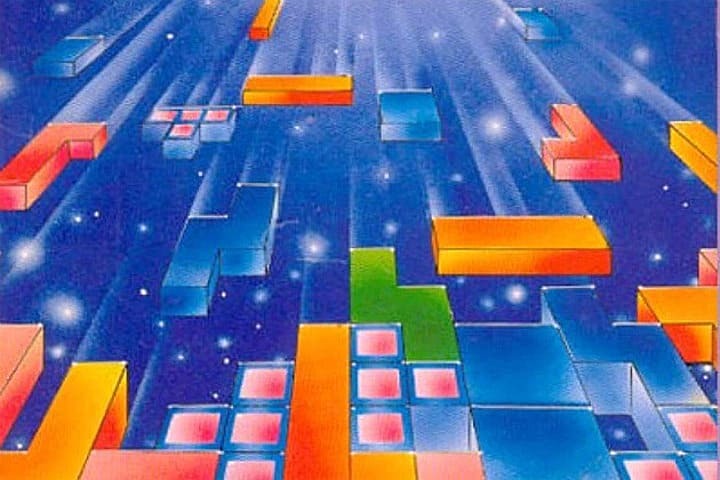 ), a can of spray paint in your Tetris block's color, 4 long metal rods to support the structure, a roll of black gorilla tape, and a roll of regular duck tape. When you get home, remove the tops and bottom flaps of the boxes as necessary. For example, the L-block will require two blocks to operate essentially as tubes, and one block to cap them off, with one complete box attached to the side. For that reason, two of your boxes will need to have the tops and bottoms removed, and one of your boxes will need the tops removed. After you've done that, assemble your block! Add the metal rods for support and tape them to the inside of the block at the corners. Then, use the duck tape to secure the block pieces together at the outside, taking care to secure everything super tight. Also, make sure to tape any visible flaps together. Then, spray paint it! After that's all dried, cut out face and arm holes, and frame each box with the black Gorilla tape as a final touch, to give your block that classic Tetris feel. And that's it! You've got a Tetris piece costume! Have you cosplayed before, or are you a first timer? Are you planning on attending a convention this summer and trotting out one of these costumes, or one of your own? Let us know in the comments, and please tweet at us @GameSkinny to show us your cosplay skills! Also, be sure to check out these amazing Overwatch cosplays, as well as this amazing (and functional!) Captain America shield!